Gauthier Le Rouzic is part of a still emerging lineage of Geek artists without making the apology fictional science of the format. The playful aspect of these pieces allows spectators of all ages to identify, remember or project into the future, creating a modern poetry barely exploited in Art. The object looks at itself, listens, plays and communicates. The history of the objects used creates a contemporary narrative that is interpreted in a life experience of our own. In a deep and pragmatic approach, the pieces of Gauthier Le Rouzic initiate a meeting machine / human to create a dialogue that does not exist. The artist is then forgotten, these machines become literally his word. He communicates with these tools as a magician communicates with these towers. He gives voice to inert objects, is this the hidden desire of Man, that everything around him speaks to him and communicates with them? 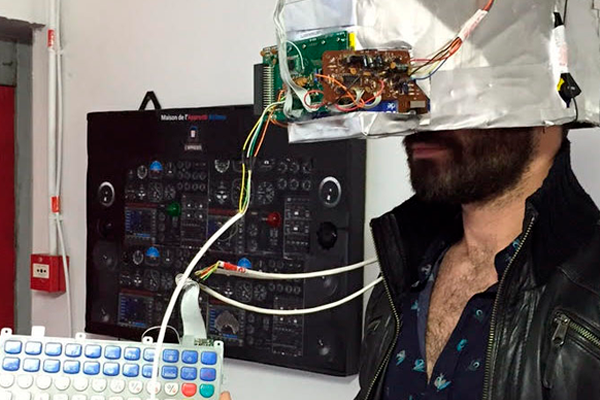 TWB is a typewriter that interacts with the user and causes the viewer. 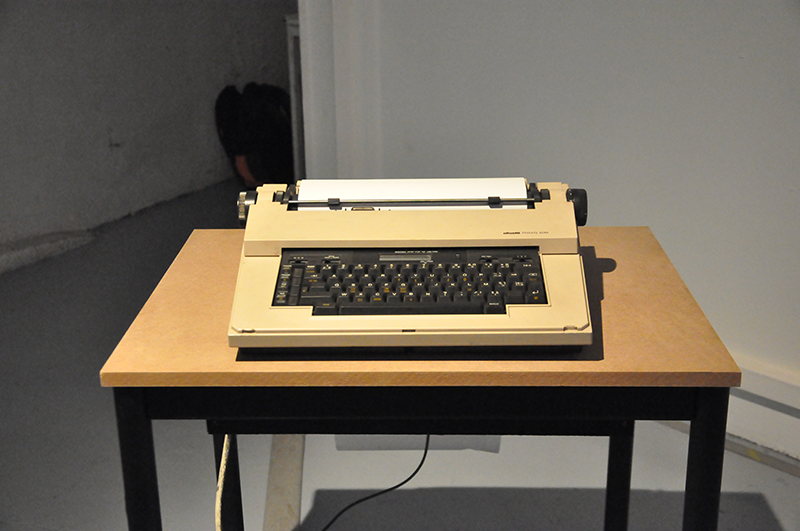 It answers any question, and establishes a dialogue: the creation of a computer «chat» with the typewriter allows the meeting between techniques and modes of communication that belong to different «time spaces». The device, mechanical and computer, generates endless conversations, and just as different social networks can give information. Therefore, reactions to the statements made are provoked. Simple object, the typewriter presents itself between reality and illusion.